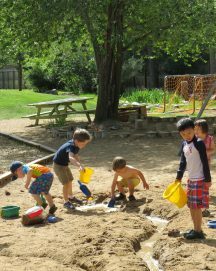 Jarrow Montessori School nurtures the development of the whole child through quality Montessori education. Our community supports each child’s joyful discovery of self in the journey to becoming a confident lifelong learner and compassionate citizen. Maria Montessori believed that children of the present are the world’s hope for the future. It was her belief that it is in the early years that children develop the social, emotional, physical and intellectual foundation on which they build the rest of their lives. The development of concentration, independence, self-discipline and a sense of order and responsibility are prerequisites for success in learning, as well as in becoming a citizen of the world. The Montessori approach is education for life-long love of learning. Jarrow’s aim is to encourage the development of responsible, caring, young people who can direct their own lives, in a conscientious and thoughtful manner, and contribute to making the world a better place for future generations. The Montessori method provides a carefully prepared environment, rich in learning materials and experiences. Students are grouped in mixed-age classes, which allows them to interact with other children on a variety of intellectual, social and interest levels. The three-year age grouping is based on the children’s developmental stages and has been scientifically verified as an effective philosophy. Jarrow Montessori has been affiliated with the American Montessori Association for over 40 years and received the distinction of being fully accredited in 2011. What this means for Jarrow is that we have achieved, and are held to, the highest standards of excellence with regard to the Montessori philosophy and methods. To read more about what it means to be at an accredited school click here. 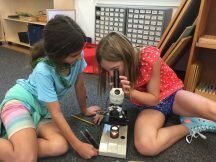 Every Jarrow student learns in a multi-aged environment that fosters a strong sense of integrity and community, and a love of learning, while nurturing each child’s intellectual, physical, emotional, moral, and social self.